The long European winter rewarded those storage facilities that performed well, and those are now being refilled. Now the market watches to see how the EC's Gazprom anti-trust settlement will work out. 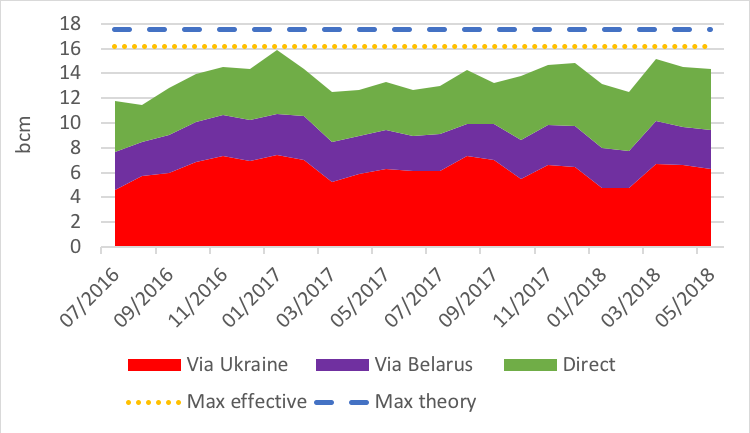 With warmer days, Gazprom flows in May saw the same trend as in April: down 1% vs last month, but up 7.8% year on year as storage was severely depleted this past winter. Fifty years ago, on 1 June 1968, the Soviet company Soyuznefteexport and Osterreichische Mineralolverwaltung (OMV) signed an agreement for supplying gas from the USSR to Austria. 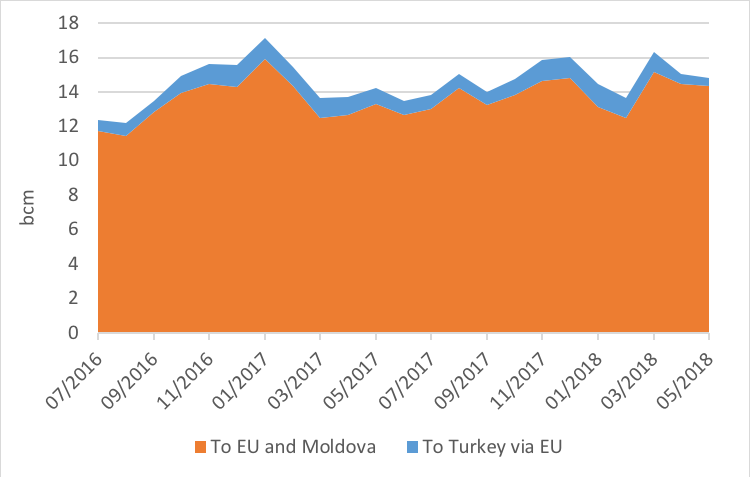 In the last 50 years, the gas markets – and in particular the European Union – have undergone tremendous changes but the Russian exporter adapted successfully and grew its market share to become the biggest EU supplier. This will continue as the enlarged EU wide gas market will need further fixing after the Gazprom-Naftogaz arbitration in February 2018 and the settlement of the EU Gazprom antitrust case in May. With the Stockholm tribunal ruling that Gazprom’s sales in Ukraine should be priced at the level quoted on NetConnect Germany (NCG), the German gas exchange and the EU DG Competition requesting swaps of deliveries of Gazprom gas in eastern Europe and the price benchmarks used for this region (NCG and TTF), the transportation fee question will come back on the political agenda. The pancaking of entry/exit fees inside EU and in Ukraine makes those 2 rulings difficult to enforce. The obvious solution: one enlarged EU single zone with a single wholesale price, an entry fee and 2 exit fees to differentiate customers needing SoS and others. But how long will it take for the EU (that foresaw this by launching the Quo Vadis study in November 2016) to implement it?